FOXA1 protein levels are decreased, whereas pSMAD is increased in metastatic CRPC as compared with primary PC. 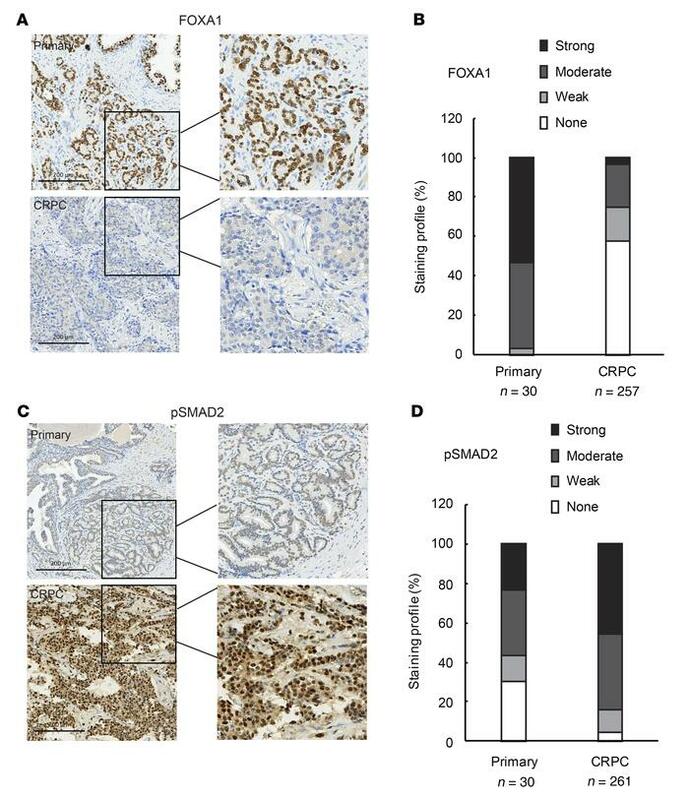 Immunohistochemistry staining was performed in TMA of primary prostate tumors and metastatic CRPC with indicated antibodies. (A and C) Representative images of FOXA1 (A) and pSMAD2 (C) staining in a primary tumor (top) and a CRPC tumor (bottom). Scale bars: 200 μm. (B and D) Quantification of FOXA1 (B) and pSMAD2 (D) staining intensities in primary PC and CRPC samples.